Beautiful Emeralds | Is This Mutton? 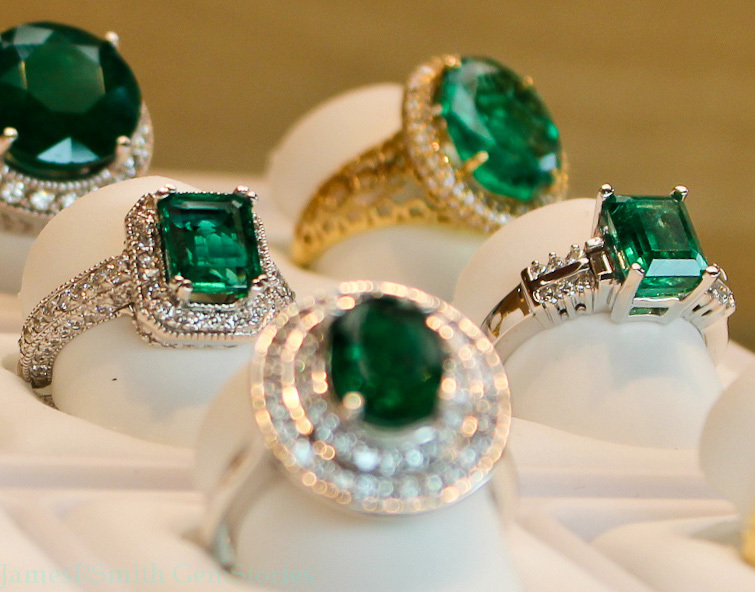 Is there a more beautiful stone than an emerald? I don't think so. Emerald is the birthstone for May, and in Is This Mutton's? 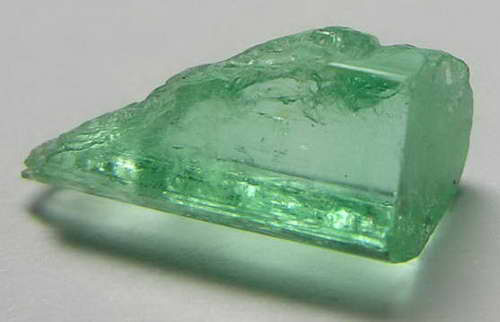 continuing look at birthstones, we're going to examine this beryl in a bit more detail. This post was updated in May 2018 with new emerald picks to buy. Emerald was once also believed to cure diseases like cholera and malaria. Wearing an emerald was believed to reveal the truth or falseness of a lover’s oath as well as make one an eloquent speaker. There are other green stones including tourmaline and peridot, but emerald is associated with the deepest and most vibrant green. Ireland is of course the Emerald Isle. There's a great infographic at Wiki How: How to Shop for Emeralds. With emeralds, it's all about hue, tone, and saturation. The deeper the hue, the more expensive the emerald is likely to be. They range in colour from a very light green to very dark. Most emeralds on the market today are Colombian, and most Colombian emeralds are bluish green. Saturation is what gives the colour its intensity and strength. Saturation can range from dull to pure vivid. So if, for example, a medium dark stone has a boring, dull saturation, you probably won’t get too excited about it. The cut of an emerald is a personal choice, but certain cuts reflect light more easily. The rectangular "emerald" cut is, unsurprisingly, the most common for emeralds. Round and oval cuts are more expensive and rare, since so much more rough must be wasted to cut them. Very few emeralds are flawless. You should expect inclusions. Emeralds are a Type III gemstone, as rated by the Gemological Institute of America (GIA). This means that nearly all emeralds will have some inclusions, due to the softness of the stone. Opt for emeralds with interior inclusions rather than surface or near-surface inclusions, since interior inclusions are less likely to cause the stone to break later on. Emeralds are traditionally partnered with yellow or white gold. Here's a surprising fact about emeralds: they're larger than diamonds: compared carat to carat, a 2ct emerald is larger than a 2ct diamond, due to the emerald’s less dense composition. How do I clean an emerald? Use a soft micro-fibre cloth to remove the oil and dirt accumulated on the emerald jewellery. Fill a bowl with lukewarm water and add some mild soap. Use a soft toothbrush or a jewellery brush to clean off the jewellery. Fill a second bowl with lukewarm rinse water. Dry the jewellery with a soft clean micro-fibre towel. If you're buying an engagement ring, a beautiful emerald is pricey: thousands of pounds. You often get much more ring for your money with a secondhand, or pre-loved ring. Gemporia has a lot of Zambian emerald, generally a lighter green than Colombian, but more affordable. Do you have any precious emerald jewellery? Do share your stories! Peridot, Ruby, Emerald, Topaz, Pearl, Sapphire, Diamond, Garnet, Tanzanite, Opal, Amethyst. Is This Mutton has an extensive Pinterest jewellery board, which features more jewellery than can be shown on the blog. Lucky you - I don't have any emeralds but would love to have a ring! Such a stunning jewel. Love this appreciation post!